You should join a few Facebook solo ads groups if you are promoting a "make money online" product and wish to build a list of subscribers for the cheapest price. Solo ad traffic vendors post their advertisements in their group daily. You will not pay more than $0.35 per click ($35 per 100 visits to your sales page). But how trustworthy are they? And will you get a good results from the traffic supplied by them? The solo ad vendors who advertise in such groups normally charge $0.35 per click (unique visitor to your site) or less - as low as $0.30 per click as a seasonal discount. 80-85% of the visitors should be from T1 countries (USA, Canada, UK, Australia and New Zealand). Firstly check the vendor's profile and if he/she has a website. If they do, they're generally pretty trustworthy. If you access their website, you'll find them sell traffic for much higher rates, say $0.50 per click or more. Contact them directly via Facebook message and they'll give you a "Facebook discount" price, hopefully for $0.35 per click or less. Why are they considered trustworthy if they have a solo ad website? The reason is because they're genuinely focused on buyers. They're targeting genuine customers like you - people who wish to build subscribers who are actually interested in business opportunities. If a vendor you find in the Facebook group does not have a solo ad website - don't try them. Because they usually only make solo ad deals with other vendors, and the purpose of their business is quite different. I'll explain what it is. 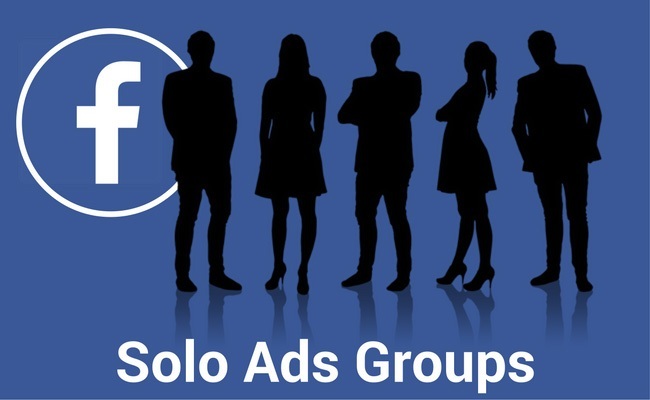 The majority of the active members in the Facebook solo ads group are vendors themselves. They sell & buy each other's traffic, i.e. essentially swap their list of subscribers around. "Hey, bro. I have one slot available for 0.34cpc (34 cents-per-click). Let me know if you need." "No thanks, I'm actually looking to sell right now. I can offer you mine for 0.33cpc." This is a typical conversation exchanged between two sellers. They run the solo ad business almost solely within the groups, means it's crucial to reach out to as many other members in the group day-in, day-out in order to sell more traffic. On the other hand, vendors who buy traffic from other vendors in the same group are looking for quantity over quality. They're looking to take as many leads as possible, they don't care whether their subscribers are ever interested in trying out online business products or not. Their subscribers are full of get-rich-quick dreamers, in fact. Please note I'm not saying it's bad - this is a Facebook Solo Ads marketplace. It's a cat-and-mouse game, and this is how the market is established. They must make sure to sell traffic to 2 or more other vendors, while also buy traffic from 1 vendor to refresh their list of subscribers...so they must always sell more than they buy to make a profit. In order for them to collect as many leads and as quickly as possible, their typical sales page would look like one of these. "PayPal Immediate Withdrawal For You $17,075!" "PayPal verified & tested: Instant Access to $800 Now!" Their sales page often suggests as if PayPal will give you a cash gift if you simply sign up. So people do sign up. People who believe they can get free money out of nowhere would sign up. They're not looking for online business opportunities, and they don't have a cent to spend. It looks like it's all yours to collect... do they owe you so much? Do you think something's wrong? Better than winning a lotto anyway, I wouldn't tell many people. Otherwise it would spoil it. If you bought a traffic from these guys, your business product would be advertised this way...targeted towards people who are looking for free money someway, somehow. They would receive this mail and open it because it told them something was wrong with their "account". They would click the link because it said there'd be something better than a lotto...only to be directed to your sales page. They might sign up with you, but you know the chance of conversion will be pretty slim. For that reason - because none or very few of their subscribers are potential buyers - I wouldn't recommend you to buy a traffic from the vendors who solely trade within Facebook solo ads groups. Buy a traffic from the ones who own a solo ads website, because they are at least committed to help online marketers make some sales. Ultimately! There are also quite a few solo ad testimonial groups in Facebook where you can join and find trusted solo ad vendors from the latest testimonials. Here's another tip; don't trust the statistics given in the testimonial - it's a spam bot alert! I'll explain why. Delivery of a good solo ad traffic is mainly measured by the opt-in rate. The rate of more than 40-45% is considered good. It means simply speaking, if someone ordered 100 clicks (visitors) and the opt-in rate was 46%, it means 46 people signed up with them from the sales page. Unfortunately, it's hard to tell if all these 46 "people" are real humans. Bots can sign up. Bots can become a subscriber, open a swipe email, click the link attached to it, and sign up again at whatever the next opt-in page they've landed. Spam bots are so widespread and, often neither the seller nor buyer is aware that they're actually exchanging a lot of bots. Even though their filtering system is supposed to block bot traffic, that's really not enough. Often neither of them knows (or cares about!) how to closely block newborn spam bots, unfortunately. Especially with those who deliver the traffic fast, even the most reliable tracking/filtering systems such as Clickmagick cannot detect brand new bots in time. Left: Fast delivery, but how fast? The seller may be delivering too fast - before spam bots can be detected. Right: This seller helped the buyer make some commission sales. It shows this is a quality traffic. So when you see a testimonial that says 60-70% opt-ins... Don't believe it offhandedly. The contributor is unlikely to be aware how much of it is real. There are a few Facebook Solo Ad Sales Testimonial groups where members are allowed to leave a testimonial only if they made a sales from the traffic received. I suggest that you should join, and check the contributor's profile. If he/she is promoting a similar product to yours and has made some sales, it means the vendor may be likely to send you the same quality of traffic to you. The price per click in the Facebook solo ads market has been slowly lowering down. Many vendors charge as low as $0.30 for bulk purchase or as part of a seasonal discount campaign. I'd say $0.30 is the lowest right now. If someone is selling traffic for $0.29 or less - check the vendor very carefully (i.e. testimonials, website, and their profile). I wouldn't trust their traffic. Their list of subscribers is likely to be outdated, or they're sending a bot traffic. You'll be wasting your money! If you are looking to promote "make money online - bizopp (business opportunities)" products, it's easy to find solo ad vendors who charges you $0.35 per click or less. Here's a summary of tips how you choose trustworthy vendors. Choose a vendor who also has a website that sells solo ad traffic. Don't rely on testimonials written by a solo ad vendor on another vendor. Don't get swayed by the high opt-in rate claimed in the testimonial - bot opt-ins may be included. Don't get swayed by the phrase "fast delivery" - the speed is irrelevant! Check solo ad sales testimonials - if a vendor's helped someone make sales, he/she may be able to help you, too. Don't go for vendors who're selling traffic for less than $0.30 per click, unless they're running a special campaign.